Using a Sony A7RII equipped with a Sigma 14–24mm f/2.8 ART lens, Fusco cranked the camera’s ISO up to 3200, allowing him to shave his exposure time to just 6 seconds. 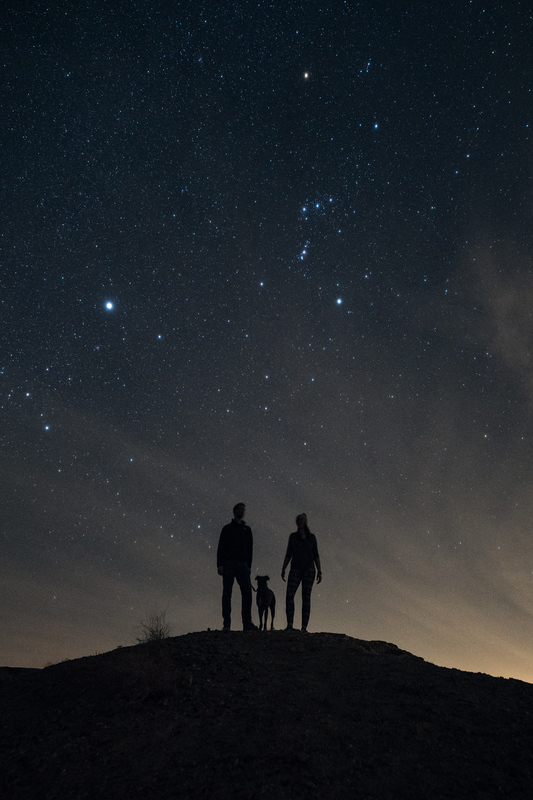 While that proved to be a sufficient period for capturing the details of the brilliant night sky, it’s still a short enough time span to remain still enough to produce a clear set of silhouettes. Of course, if you’re considering traveling to Anza Borrego Desert State Park to recreate this shot, you’ll have to find patient subjects. Taking all the elements into account, the most impressive part of this entire composition may very well have been Fusco’s ability to keep his boxer, Kona, completely still for the entirety of the exposure!